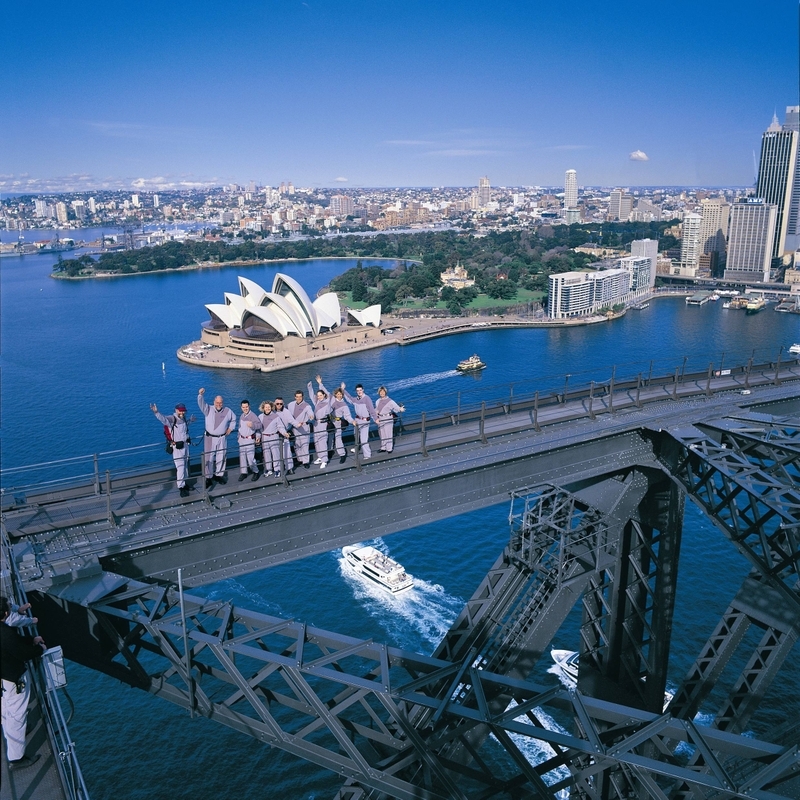 BridgeClimb is the ultimate experience of Sydney, guided Climbs to the top of the world famous Sydney Harbour Bridge, 134 metres above Sydney Harbour. Climbers can choose between two 3 ½ hour guided experiences - The Bridge Climb or The Discovery Climb, both available at Dawn, Day, Twilight or Night. Whichever Climb you choose you will have The Climb of Your Life! The Bridge Climb is the original experience. It takes you along catwalks, up ladders, and steadily to the summit of the Sydney Harbour Bridge. Experience the satisfaction of conquering the upper arch of the Bridge while taking in city surrounds, the World Heritage listed Sydney Opera House, the harbour and the Bridge itself beneath your feet. The Discovery Climb is a new experience that takes you inside the workings of the Sydney Harbour Bridge, within its very heart, for a behind-the-scenes look at this Australian icon. While it may not be everyone’s cup of tea (Nothing on this blog is) one of the hottest new adventure activities is storm chasing. . Welcome to Storm Chasing Adventure Tours, one of the worlds premiere top rated storm chasing tour companies. You may have seen them chasing tornadoes on National Geographic Television & Film., CBS 48 Hours, NBC Nightly News with Tom Brokaw, The Discovery Channel, BBC World TV, CNN News, The Weather Channel, FOX NEWS, the Travel Channel and many other media outlets around the world. We provide the most comfortable and personal tours available and we feature Suburban’s as our chase vehicles as of 2007. Other tornado chasing companies cram their clients into passenger vans or minivans.. Note we no longer use the big fat vans that are in our photos. You now have the most comfortable tour available." When guests visit Jules’ Undersea Lodge in Key Largo, Florida, they discover that the name is no marketing gimmick. Just to enter the Lodge, one must actually scuba dive 21 feet beneath the surface of the sea. Jules’ really is underwater. Diving through the tropical mangrove habitat of the Emerald Lagoon and approaching the world’s only underwater hotel is quite an experience. Even from the outside, Jules’ big 42 inch round windows cast a warm invitation to come in and stay a while, relax and get to know the underwater world that so few of us have even visited. Entering through an opening in the bottom of the habitat, the feeling is much like discovering a secret underwater clubhouse. The cottage sized building isn’t short on creature comforts: hot showers, a well stocked kitchen (complete with refrigerator and microwave), books, music, and video movies. And of course there are cozy beds, where guests snuggle up and watch the fish visit the windows of their favorite underwater “terrarium”. Jules’ Undersea Lodge manages to reach a perfect balance of relaxation and adventure.